Link building has come under fire this year with large companies like J.C. Penney and Overstock.com being caught red-handed deploying spammy black-hat link building campaigns. Google swiftly moved to make an example of these companies by dropping them like stones in their search engine results. In addition, Google seems to be signaling a desire to move away from links and page rank being such a powerful factor in determining search engine results placement by releasing their Panda algorithm while relying more on brand signals and the social graph. This may be true, but according to SEOmoz inbound links still account for up to 42% of a website’s ability to rank, far more than any other factor. As a result, actively deploying a link building campaign is critical for any SEO deployment. Below are 15 effective link building techniques that won’t get you in trouble with Google. Content Marketing - By creating lots of high quality, viral, educational and/or entertaining content on a regular basis a website will have many more opportunities to capture inbound links. This is the most holistic and natural way to do link building. Competitors - By using tools like SEOmoz, HubSpot, OpenSiteExplorer.org, Raven Tools and Yahoo's Site Explorer a webmaster can inventory competitors’ inbound links and mimic them where possible. Guest Blog Posts - By inviting others to guest post they will promote their original content to others in social media and on their web properties resulting in inbound links for the publishing blog. Also, by actively seeking out opportunities to guest post on others’ blogs an author can include appropriate links back to their web properties. Press Releases - Free wires like PRLog.org and paid wires like Marketwire.com and PRWeb.com allow links to be included with the release. These websites syndicate releases to hundreds of websites which publish the release and the accompanying links. Local Directory Listings - Always include company websites on Google, Bing and Yahoo’s local directory. It is also a good idea to submit to Localeze.com. These are powerful brand signals and links for the search engines. Social Profiles - Have a company LinkedIn profile and make sure employees’ profiles link to it. Use Namechk.com to set up the rest of the company’s social media profiles. While many of these links are no-follow, remember, Google reserves the right to follow a no-follow link and social signals account for up to seven percent of a website’s ability to rank. Partnerships - Strategically partner with similar companies and share links and content. 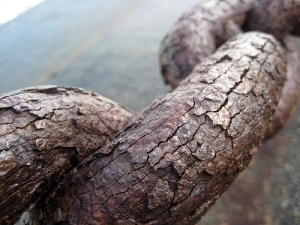 Client & Vendor Sites - If prudent, ask clients for links. A good way to solicit links from vendors is to offer up a testimonial for their website. Just make sure it includes a link. Real Simple Syndication (RSS) - Links included in content that can be syndicated by RSS will turn into inbound links when other websites and blogs syndicate the content. This is a good reason to include multiple tags on blog posts or any other web property which contains an inbound link. The more tags the more internal and potential inbound links. Communities, Blogs & Forums - Monitoring keywords and brand names on blogs, forums and in social media will create opportunities to engage in the conversation. Leave links which add value to the conversation and are prudent. There’s a fine line between adding value and spamming. If the line is crossed or traversed, members of the community will communicate their displeasure. Article Sharing - Write original articles with links that point back to the appropriate website and submit them to Ezinearticles.com or Suite101.com. Article sharing websites recently took a hit from the Google Panda update so don’t expect to get the same results as the pre-Panda days. However, article sharing still creates inbound links and should be considered as a viable link building strategy. National Directories - Submit the appropriate web properties to dir.yahoo.com and dmoz.org. If associated with any national organizations make sure to solicit a listing containing a link in their online directory or website. Badges, Widgets & Plug-ins - Companies and brands can easily create a WordPress plugin, offer up badges to website visitors, and create and share widgets using WidgetBox.com. Just make sure these assets contain a link back to the appropriate web property. Product Reviews & Interviews - Give away free products or services to bloggers in exchange for a review. Review content almost always links to the website containing the product or service. Solicit interviews from bloggers. Bloggers who publish interviews almost always link to the interviewees website. Presentations & Webinars - Submit presentations to SlideShare.net and include links in the slide deck. Also, host webinars for live blogcast coverage, tweets and blog reviews.